The submission will widen the scope slightly of this question, to include how Spending Reviews and the whole Finance and Supply system might be impacted by the changes introduced by the FTP Act. It is very important to be clear about the status of Spending Reviews. They are simply ‘statements of intent’ by the government, in effect they have the same status as a White Paper. They are not authorised by Parliament and, apart from the short-lived Fiscal Responsibility Act of Feb 2010, Spending Reviews had no legal basis or force. Each SR only attains real force when it is implemented through subsequent annual Budgets. One problematic issue has been that Budgets – and subsequent Supply motions – do not always follow what was set out in the Spending Review for the relevant year. Moreover Governments do not make it clear when they are deviating from the plan set out in the preceding Spending Review. In the latter years of the Labour government, and under the Coalition, this situation has become even more complicated as governments have increasingly used the Pre Budget Report (or ‘Autumn Statement’) to make changes to both tax and spending policies, increasingly looking like a mini-budget. As Alistair Darling, Chancellor of the Exchequer from 2007 to 2010, remarks that “during my time as Chancellor I had to deliver what were in effect six Budgets”. 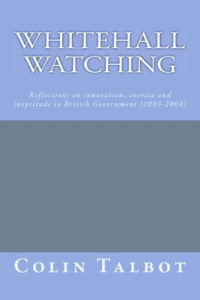 On its election in 1997 the New Labour Government announced it was introducing multi-year ‘Spending Reviews’, the first of which would be published in the following year (1998). These would provide the public spending framework for a 3-year period ahead. To allow for greater ‘end-year flexibilities’ – moving a (limited and agreed) amount of spending between years; etc. The idea of Governments adopting a medium-term expenditure framework is not especially new – the World Bank and IMF had been promoting this idea to developing countries for many years before the UK decided to experiment with it. However few OECD countries had adopted such a reform at the time and there was therefore a great deal of interest in the British experiment. As promised, Labour duly published its first “Comprehensive Spending Review” in July 1998, setting out departmental budgets for the next three fiscal years (1999-2000 to 2001-02).Since then there have been six further Spending Reviews, four under Labour and two under the Coalition. These are set out in Figure 1). Partly because there is no legislative basis to Spending Reviews, it has been very easy for successive governments to change the process to suit their needs. So far only two Spending Reviews (2004 and 2007) have actually lasted for the period originally specified. In four cases (1998, 2000, 2002, and 2010) the first year of the next Spending Review has supersededthe last year of the previous Review, cutting them short. A new government in May 2015 could overturn most of the final fiscal year of SR2013 if it wished. How far this ‘flexibility’ has proved useful or undermined the purpose of Spending Reviews is obviously a matter of judgement. During the period of rising public expenditurebetween 1999 and 2004 the procedural irregularities received scant attention and few complaints. Unsurprisingly those on the receiving end of public expenditure decisions didn’t complain about a little inconsistency as long as budgets were increasing. The period of the two Spending Reviews that did run to full term (2004 and 2007) saw spending stabilise and once the Global Financial Crisis started in 2008 the decision not have a Spending Review in 2009 was widely welcomed. Perhaps to some surprise the incoming Coalition government of 2010 opted to keep – and even in some ways extend – the use of Spending Reviews. SR2010 sought to plan public spending for an ambitious 4 years ahead (FY2011-2014). In the event, these plans only lasted 3 FYs, with the final year (2014) being revised in SR2013. It could be argued that SRs were and are little more than aspirational, but that is not how they have been ‘sold’ by successive governments. Right from the start we were told that they fundamentally change the way in which Government’s could be held to account by Parliament and the public. The Coalition government has been, if anything, even more insistent that it is “sticking to the Plan”. But if SRs are merely aspirational guidance, with no serious intent to implement them, they would be no different from the ‘forward look’ years in the Public Expenditure Survey (PES) that preceded SRs from the early 1960s to 1997. The aim of the Coalition in using Spending Reviews was in some ways quite different from the previous government. In a period of austerity, and as they saw it potential fiscal crisis, they sought to use SR2010 as a way of reassuring bond markets that Britain had a credible plan for deficit reduction. Of course, having a four-year spending plan would also allow public sector managers to more effectively plan necessary reductions in spending and services, but the over-riding concern seems to have been to have a credible deficit reduction plan. SR2013 is an interesting example – it illustrates very well some of the issues the Committee is interested in exploring. It clearly became necessary a year ‘early’ for two reasons. First, the economic and fiscal assumptions that underpinned SR2010 turned out to be substantially wrong. The economy more or less flat-lined between 2010 and 2013, with predictable consequences for the public finances. Secondly, the Coalition government almost certainly came to the conclusion that a Spending Review published in July 2014 (when it would have logically been due) would be far too close to the General Election for the two-Party Coalition to be able to reach agreement on detailed spending plans stretching well into the next Parliament. A three-year SR in 2014 would have covered FYs 2015-2017, meaning the two parties entering the GE on an agreed public spending platform. This seems highly implausible politically. This latter consideration would apply to any future Coalition government in the final stages of a Parliament and make the formulation of an agreed multi-year Spending Review highly unlikely – unless we move to a position where Coalitions continue into and through the GE process, which presently seems unlikely. Of course there will always be the need for some flexibility – events can always derail the best of plans. But any reformed SR system needs to discourage playing political football with the whole SR process and content or it will simply become a meaningless ‘spin’ operation. Before turning to the issue of SRs in the context of the FTP Act, it is useful to look at the impact of the Act on the Finance and Supply process – in short the Budget. At first sight it might seem that the advent of Fixed-term Parliaments would have little impact on the annual Budget process, except perhaps in Election year (assuming GEs continue to occur in May). However, I would argue that the FTP Act has, inadvertently perhaps, introduced a possibly profound constitutional change into the Budget process. This is basis of a pervasive myth that any vote against the government on a finance or supply motion is tantamount to a ‘vote of confidence’. This myth is so powerful that it regularly appears in accounts of UK budget processes in academic texts – e.g. “The last government defeat over estimates was in 1921 ….. nowadays any amendment would be tantamount to a vote of no confidence.” (Whener p8). Perhaps much more importantly – the ‘confidence’ myth has been taken as accepted wisdom amongst many Parliamentarians over the years. In fact, what SO48 says is simply that only the Government – the Crown – can propose motions to Parliament to spend money. Technically it does not cover motions to raise taxes, although it has generally been assumed it does. As a consequence it is generally accepted that the only motions that can be moved from the floor of the House on Finance or Supply are amendments to either reduce or remove proposals for taxes or spending. But it is also often thought (an idea encouraged by government’s of all stripes) that any such amendment would be an issue of confidence. And indeed, prior to the FTP Act, what constituted an issue of confidence was essentially flexible and open to the government of the day to decide. Despite the prevalent myth there have been some attempts to amend spending or tax proposals – there have been about 20 Government defeats on such amendments over the past hundred years or so, none leading to the fall of a government or even been seen as a ‘confidence’ issue. An unknown number of other amendments have been put forward but accepted by the government, or withdrawn before a vote. Whatever the veracity or prevalence of the myth of amendments to Finance or Supply being a ‘confidence’ issue before the FTP Act, it should now be firmly dead and buried. The FTPAct lays out in precise terms what a vote of (no) confidence in the government of the day should look like, even stipulating the words to be used and the exact consequences. At the moment therefore, any vote to amend Finance or Supply to reduce or remove a tax or spending proposal would definitely not be a confidence issue. This opens up the definite possibility that the Opposition, or any party in a Coalition that wishes to embarrass its allies, or indeed any individual MP, can move amendments to Financeor Supply without any fear of causing the fall of the government or triggering a General Election. Whilst such moves would still be constrained by SO48 in relation to spending, it is also entirely possible motions to amend Finance (tax) proposals could be moved to increase or raise new taxes. It has always been unclear how or why the executive’s essential monopoly over tax and spending decisions emerged – there is no real constitutional justification for not allowing Parliament to revise or advise on these issues, as it does on legislation. It appears to be simply another example of how lop-sided our constitutional conventions have become, in favour of the executive. This raises the spectre of Budget debates becoming much more contentious and even the prospect that a sitting government could see its plans amended or overturned by majorities in the Commons. More positively, it could create a much more systematic role for Parliament, as will be discussed below. The principle behind Spending Reviews – that medium term planning of public expenditure programs brings many benefits – is a good one. It has potential also for providing for a more structured political debate and decision making processes that would present electors, parliamentarians and governments with more transparent and clear choices. Spending Reviews cannot, and should not, take politics out of public spending decisions, but they can, in conjunction with changes implicit in fixed term parliaments, make for a better political process. Aligning Spending cycles with Parliamentary cycles. The first and most obvious reform would be to align the public spending process with the electoral cycle. Assuming elections continue to be held in May, an incoming government could first introduce a Budget in June/July to amend plans for the existing year. It could then publish a proposed Spending Review in October to cover the following 3 fiscal years. During the third year of this Review period, it could publish a new Spending review covering the next two-years, as illustrated in Figure 2 below. Figure 2 Possible Spending Review Cycle alignment with Parliamentary cycle. This is of course what has more or less happened in the current Parliament. The 3 or 2-year period is also what has happened in practice in the 7 Spending Reviews since 1998. So in a sense, this would be nothing new – it would simply codify and regularise what has evolved in practice and seems to work. Spending Reviews could be published in draft form and subjected to Parliamentary scrutiny via the Select Committee system. One of the issues not discussed so far is the degree to which SRs have, in practice, concentrated even more power in the hands of HM Treasury. Few observers would dissent from the view that they have given HMT and the Chancellor much greater control over departmental budgets. Even devices like the much vaunted ‘end-year-flexibility’ have been operated within tight Treasury reins. Moreover the whole spending process has been just as – if not more –secretive than before, and with less justification. In past Budget day announcements could move markets, because the overall fiscal stance of the Government was announced alongside detailed spending and tax plans. This was at least some justification for Budget ‘purdah’. However, since SRs were introduced the Government sets out its broad fiscal position in the Autumn Statement preceding the SR – announcing the size of the public spending cake to be fought over in the SR. The SR announcement simply says how the cake is to be divided up after an almost completely hidden decision process. It has no effect on markets. As I have been arguing since the early 2000s, the innovation of Spending Reviews should have provided the opportunity to open this whole process up and for improved Parliamentary scrutiny of spending plans. The process should be fairly straightforward. The government publishes a draft Spending Review, within the parameters for a public spending envelope set out in the preceding Autumn Statement. Each departmental Select Committee looks in detail at proposals for spending in its area. They invite evidence and opinion from interested parties. Each can then report, based on the evidence presented, making recommendations to amend, or not, proposed spending plans. This would go a long way towards alleviating what King and Crewe recently called the “deficit of deliberation” in public policy decision-making – of which public spending decisions are arguably one of the most important. Labour has recently proposed that the OBR be involved in auditing the spending plans of all the main Parties in the run up to the next GE. This idea was welcomed by the Chair of the OBR and Public Accounts Committee when they spoke recently in Manchester. Again, there seems to be a fairly obvious time-table for this. At the time of the Pre-Budget report (usually November) before the year of a GE, the main opposition Party or Parties should be invited to outline their approach to the first SR of the next parliament, including spending and fiscal policies. In the event of there being a Coalition government in office, this would also be the time when the Coalition partners could – if they wised – set out their independent tax and spend policies. The OBR should then be tasked with assessing the policy statement and producing a report on each at the time of the March Budget, shortly before the formal GE process begins. An important technical change would be helpful alongside these procedural changes. Despite HM Treasury’s so-called ‘alignment project’ it is still difficult for Parliamentarians and members of the public to “follow the money” through the various stages of public spending decisions: Spending Reviews; Budgets; Finance and Supply; and finally departmental (and whole of government) accounts. If we are to have a more integrated and predictable public spending decision-making process it is essential more progress is made on this front. The benefits of a Fixed-Term Parliament should not be limited to the political realm – it should also help to improve government. Fundamental to this would be to have a more ordered, predictable and open decision making process for public spending and fiscal policy. The fact that successive Governments, of different complexions and in very different circumstances have found the idea of some form of medium-term framework helpful suggests it is useful. Fixed term Parliaments opens an opportunity to make it even more so. The 2010 Act was repealed by the incoming Coalition government in the Budget Responsibility and National Audit Act 2011. A Darling (2011) Back from the Brink, Atlantic Books, London. p38. Two of the seven Spending Reviews published so far have had the prefix “Comprehensive” attached to them (1998 and 2007). It has been claimed there is some significance to this, but that claim does not seem to stand up to scrutiny. All of them are subsequently referred to as ‘Spending Reviews’ for simplicity. Joachim Wehner (2010) Legislatures and the Budgetary Process: The Myth of Fiscal Control. A King and I Crewe (2013), The Blunders of our Governments, Oneworld Publishers, London. ← Politics Matter…But Public Financial Management Reforms Do Too.